NASHVILLE, Tenn. (September 15, 2015) - The GMA (Gospel Music Association) announces more performers and presenters for 46th Annual GMA Dove Awards. MercyMe, KB, Matt Maher, Tedashii and Brian Courtney Wilson will perform, and Jason Crabb, Gloria Gaynor, Natalie Grant, Bernie Herms and Deitrick Haddon will present top honors along with show co-hosts Erica Campbell and Sadie Robertson. 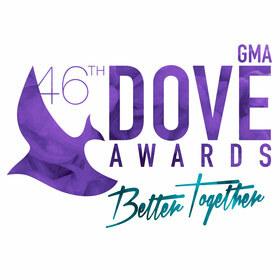 The GMA Dove Awards will take place in Allen Arena at Lipscomb University on Tuesday, October 13, 2015 and will air on the Trinity Broadcasting Network (TBN) on Sunday, October 18, 2015. For ongoing Dove Awards updates and breaking news, please visit the GMA social networks and The Dove Awards website. In addition, TheOverflow is partnering with the event as the official music streaming service. For the first time ever, fans can "vote" for their favorite artists within TheOverflow app to become "TheOverflow Fans Favorite Artist" award. For more information on voting, visit their website or download the app to your mobile device. "I am personally thrilled to be partnering with the GMA for this year's Dove Awards. The GMA and the Dove's have always been about building and showcasing excellent Christian music that extends the reach of the Gospel," says TheOverflow CEO Stephen Relph. "TheOverflow desires to help steward the accelerating consumer shift to on-demand streaming while promoting great Christian music and driving a deeper connection to the living and active word of God."